It is hard to conceive our lives without mobile phones. This necessity has enabled the entire mobile ecosystem to thrive at a spectacular pace, from device manufacturers to infrastructure suppliers, mobile operators or over the top applications. However, the satellite industry has been relegated to a secondary role generally perceived as a last resort solution to generally meet regulatory requirements. With mobile data needs ever growing and terrestrial networks strained, can the satellite industry articulate a value proposition that truly unlocks the market potential of cellular backhaul? Despite the massive opportunities the mobile ecosystem has created, the satellite industry has only captured a tiny share of the global potential. 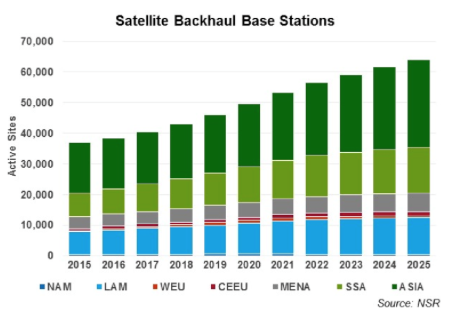 As assessed in NSR’s Wireless Backhaul via Satellite, 10th Edition, just 1.2 percent of global base stations are backhauled with satellite technology. As satellite backhaul services are still generally focused on 2G, under 0.4 percent of global mobile traffic passes through satellites. Last Tuesday the GVF-EMP hosted the Cellular Backhaul 2016 conference in London, in which NSR participated together with the most relevant players in the market. The discussion centered on how satcom participation in the ecosystem could increase, and the most relevant insights from the panels are discussed below. 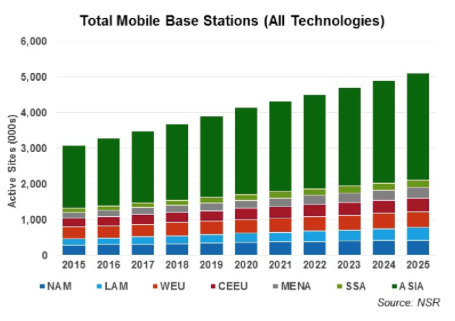 NSR estimates in the Wireless Backhaul via Satellite, 10th Edition report the total addressable market for new base stations is 234,000 new sites for 2G and 619,500 for broadband sites. The vast majority of new sites will not be attracted to satellite technologies, but the opportunity is still massive. The key question is then how to capture only a portion of this market. Unfortunately, satcom has to fight against negative perceptions when trying to engage in expansion projects with mobile network operators (MNOs) labeling it, “a cumbersome technology, not economically attractive and not ready to meet today’s bandwidth requirements.” Customers do not need to understand satellite technology, but it is key that satellite solutions address mobile operators’ requirements: minimizing Total Cost of Ownership (TCO), minimizing risk and meeting network performance (Quality of Experience). The proliferation of new business models including end-to-end solutions where mobile operators don’t need to manage satellite connectivity can open new opportunities for satcom. It is necessary to take a global approach to TCO optimization where minimizing power consumption (many rural sites lay outside electric grids and rely on diesel or solar generators) or integration with small cells needs to be considered. MNOs are many times unwilling to bear the risk to enter into new markets, while satcom is a great way to test new markets (much lower CAPEX compared with ground networks), and sharing the risk with pay-as-you-go models may be necessary to accelerate the uptake of satellite technologies. Needless to say, the new large amounts of satellite capacity at relatively affordable levels have the potential to open new markets that were unattractive in the past. With the arrival of HTS, now is time for the ground players to develop new technologies and applications. 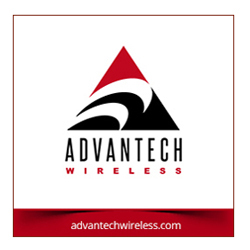 This includes a large number of techniques such as supporting wideband carriers to fill high bandwidth transponders, improved roll off factors, bigger modems… or any other measure that could contribute to reducing the cost per Mbit. The backhaul market poses particular challenges for the ground segment. Integration with mobile protocols is not always easy. The new traffic patterns create further requirements for traffic optimization, higher traffic per site or bursty traffic. New Internet protocols create further difficulties for traffic acceleration. All these are issues that need to improve to enhance the levels of Quality of Experience. All in all, mobile operators don’t want to worry about the details of satellite technology, and they just desire a link that seamlessly integrates with their networks. Providing a way forward with flexible and easy upgrades is also a must. The global telecom infrastructure is transforming rapidly. If the satcom industry can adapt to this new environment, new opportunities will emerge. The appetite for data won’t stop anytime soon, from sharing images to videos and very soon virtual reality, and data traffic growth will follow unabated. This will require new network architectures where satellites can find opportunities in coverage densification, traffic offload or network resiliency. Some key players are already developing products focused on these applications. With most mobile data traffic being media and value in the mobile ecosystem moving to content and platforms, content distribution will rapidly transform. Key here is that no technology beats satellites in data multicasting. In the global trend to move content to the edge of the network, the satellite industry could build a Greenfield market with very promising prospects. Some key challenges exist though like the need for content owners to trust these distributed networks or the need to develop industry-wide standards. While 5G is still in the definition phases, it is key the satcom industry protects its interests. From spectrum usage to protocol definitions, the satellite industry must ensure its role in the telecom infrastructure of the future. Some of the long-term characteristics of 5G are progressively taking shape. Edge computing, content moving to the edge or operators reducing CAPEX through network sharing are some of the elements being adopted today that could create opportunities for the satcom industry. The mobile ecosystem has been one of the fastest growing industries ever. However, the satellite industry has had difficulties penetrating the market and its role is still very minimal. At least 10 percent of the global population lives outside 2G coverage, and this together with the increasing difficulties to expand ground networks further into rural areas gives an idea of the tremendous opportunity for satellite players. Additional, cheaper satellite capacity blended with more sophisticated ground systems and a value proposition that better responds to MNO requirements should increase satellite’s share in the mobile industry. The global telecom infrastructure is adapting to new end-user demands. More data traffic, media consumption, edge computing or network infrastructure sharing are some of the trends progressively influencing how global telecom networks are built. The satellite industry needs to find its role in this new ecosystem. Learn more here.